DETROIT -- General Motors said it continues to oppose the sale of its former Saab unit to Chinese investors despite revisions offered in recent days. 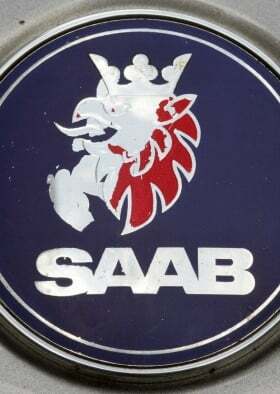 "We have reviewed Saab's proposed changes regarding the sale of the company," the automaker said in a statement on Tuesday. "Nothing in the proposal changes GM's position. We are unable to support the transaction." Earlier, China's Pang Da Automobile Trade Co. had said it will continue talks with various parties including Saab on plans to invest in the crisis-hit Swedish carmaker. Saab owner Swedish Automobile said on Monday that it is in discussions with a Chinese bank and Zhejiang Youngman Lotus Automobile about a new ownership structure for Saab, but declined to say whether Pang Da was still involved. On Sunday, Reuters reported that a Chinese bank would replace Pang Da in the rescue deal, which might help pave the way for approval by GM, which still has preferential shares in Saab. GM's statement today eliminates that hope. "In principle, we would not oppose any plan that would be good for Saab's restructuring and help it out of the current plight," Pang Da said in a statement posted on the Shanghai stock exchange on Monday. GM, which operates in China in a partnership with state-run SAIC Motor Corp., said it would be difficult to support a sale of Saab that hurts GM's competitive position in China and other key markets. Analysts have said that without GM's technology licenses and production contract, Saab would be unable to continue in its present form. Saab has been under court protection from creditors in Sweden since September after unions representing Saab employees began proceedings to put it into bankruptcy over unpaid wages. Swedish Automobile said on Monday the discussions on Saab's future included a short-term solution to enable Saab to pay the November wages and continue its reorganization. Pang Da operates auto dealerships in China, while Youngman produces commercial vehicles, including buses and trucks, and sells cars under the Lotus brand. Phil Nussel and Reuters contributed to this report.